Sydney, Australia-based post-metal/sludge unit LO! are pleased to unveil the visual accompaniment to "Gods Of Ruin." 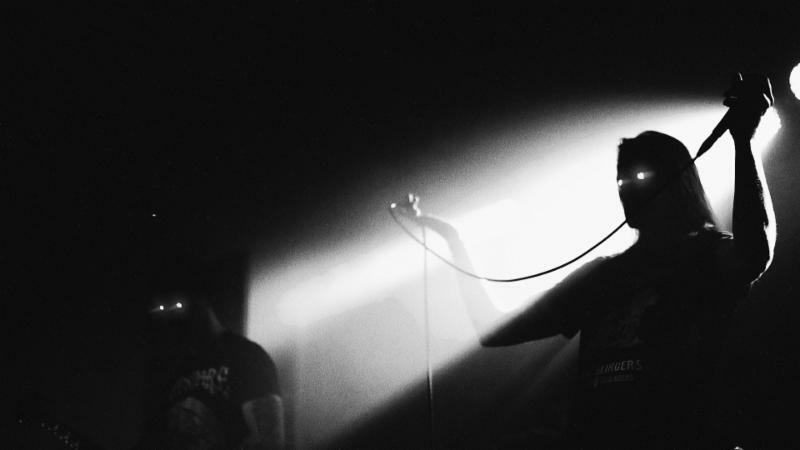 Captured at a show in Cluj Napoca, Romania in October of 2017, the track comes by way of the band's "Vestigial" full-length, out now via Pelagic Records. Vocalist Sam Dillon said, "'Gods Of Ruin' is a take on the American phenomena of mass gun ownership and the tragic reality of an armed population triggered constantly by fear and ignorance. We become a flood of bullets now." View "Gods Of Ruin," courtesy of New Noise Magazine. Stream Vestigial in full pelagicrecords.bandcamp.com/album/vestigial. LO! 's Vestigial is out now on CD, LP, and digital formats. For orders in North America, visit pelagicrecords.indiemerch.com, for European orders go to pelagic-records.com, and for Australian orders, go to nervegas.com.au. LO's third full-length album "Vestigial" is truly next level. The songs are well-crafted and have a larger scope than their predecessors, the sound is heavy yet organic, there is a greater harmonic density behind their stupefyingly heavy riffs and they simply sound tighter than ever before. These are anthems for a maddening world run by monsters of our own making. "LO! have come to remind you of glorious times; times when Mastodon were using samples of Jurassic Park to kick off their records," wrote Metal Hammer UK on the band's debut album Look And Behold. And in fact, song titles like "Megafauna" or "Hall Of Extinct Mammals" show that LO! have always been interested in man's relationship with the natural world. Themes of extinction, circuses, and animal exploitation were explored on the band's 2015 EP The Tongueless, "so it was a nice lead in to where we are at now on Vestigial," noted Dillon upon Vestigial's release, "with a revisit of the outro from the EP as the intro on album number three." A world where politics resemble black comedies, where guns have become an aspect of culture, and where addiction to technology is the norm lies at the lyrical heart of Vestigial. "There are several repeated characters throughout the album," Dillon said. "The Judas Steer, the Locust Christ... these are antiheroes, the wolves among sheep figuratively. The ghastly Donald Trumps, The Kim Jong-Uns, the extremists and ignorant tyrants of our modern lives..."
Fans of Mastodon, Cursed, Cult Of Luna, Converge, Breach, Black Breath, and the like, don't sleep on this.